2105 Season: Last year, in addition to the fact that the Atlanta Braves were awful, they ended up being 18-8 in one run games. That’s an incredibly lucky, mean-regressive stat, and it led to them winning 67 ballgames instead of their expected 61. This team however, is young as hell…really young, and could be scary in 2018 and beyond. Maybe. Key Additions: SS Erick Aybar, C Tyler Flowers, OF Ender Inciarte, SS Dansby Swanson, and former Met great and utility extraordinaire Kelly Johnson. 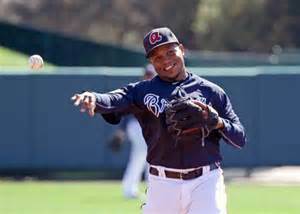 After acquiring Swanson and Inciarte, the Braves weren’t done trading, as they swapped shortstops with Anaheim, acquiring Erick Aybar for platinum-gloved Andrelton Simmons. Aybar is what he is offensively at this point, a guy who can be average or slightly above average at the plate. When the moons align right, he can hit .300 for a month, or even two months, but he isn’t a top 15 player at short in the game today. Tyler Flowers is a very solid backup catcher, who has actually started to hit at a roughly league-average level over 400+ at bats in the past (2014 w/Chicago White Sox). For $9 MM/3 years it’s an example of what well-run organizations do all the time when looking over the scrap heap. Kelly Johnson IS Stan from South Park and he can play basically every position on the field. And as an added bonus, he is always a swell guy to have around the clubhouse. 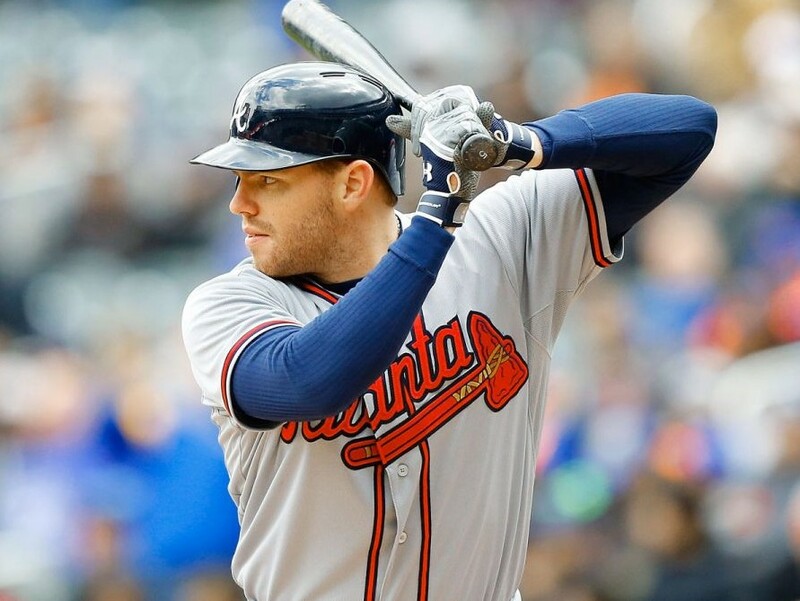 Key Losses: RP Shelby Miller, SS Andrelton Simmons, OF Cameron Maybin. I’ve already talked about Miller, and Maybin was an impactful player in recent years for the Braves as well, if only because this team was so thin he had to play a lot. Maybin is a very forgettable guy overall, a spidery outfielder who gets to everything but ideally you don’t want him getting 500+ plate appearances. I do think it’s funny however that the Braves gave him a homecoming by trading him to the Tigers. Detroit was actually the team that initially drafted him in the first round out of HS in 2005, and then two years later packaged him, along with former UNC Tar Heel and current Highly-Paid Yankee Reliever Andrew Miller, to Florida in a classic Marlins dump. This trade, on Jay-Z’s birthday December 4th of 2007 (Fun fact), is the one that gave the Tigers Miguel Cabrera. Simmons’ glove at short is a gigantic loss, and personally I would not have done it for Aybar…you know…if I were a man of more power and actually controlled what the Braves did. Without Simmons, the other 7 non-pitcher defenders of the Braves had a 2015 average defensive Wins Above Replacement of -4.8. If a single player had that kind of DWAR, it would be the worst in the league by far. This is a lineup that can score as few as 620ish or as many as 740 or so runs, and it depends on the guys in the middle. 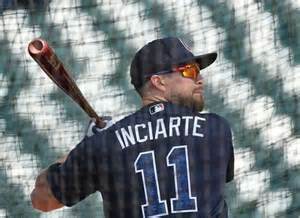 Inciarte is an incredibly promising young bat who hit .303 during his age 24 season last year. I think he can improve his power as he fills out more, and with power may come more walks too. Aybar, as I said earlier is what he is, not sure if he’ll be all the way up in the 2 hole by June. Freeman, coming off of a down season, is going to have a big year because his girlfriend’s cat’s Instagram account said so. He really needs to though as he got Joey Votto money last offseason and is nowhere near the hitter. Pierzynski, the well-traveled and controversial catcher, hit .300 last year in his age 36 season…huge regression candidate. Markakis is a slightly above average spray hitter with zero power. He will need to find a way to squeeze out 10+ homers for anything to happen offensively. Meanwhile, Olivera is a Cuban defector who Braves scouts boast has Yoan Moncada power. Yea…we will see about that. 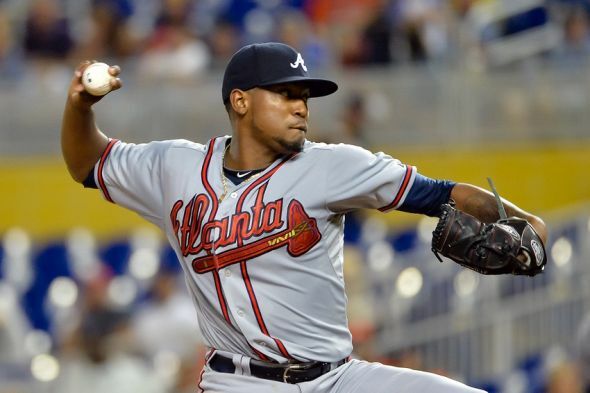 After his 3.20 and 2.89 ERA’s in 2013 and 2014 respectively, Teheran’s 4-spot this past year was alarming to the Braves brain trust, and 2016 will be a big year from him. It’s a down offensive era overall, has been since for 6-7 years now, so in a league where the Kershaws/Arrietas/deGroms are sporting ERA’s in the 1.80-2.10 range there, is some doubt to whether or not Teheran is a true ace, and not just a B+/A- caliber number 2 starter. Don’t be alarmed, Bud Norris is nowhere as bad as he looked last year, but he is not getting anyone exited when he has to be at the top of a rotation and be slated to get 34/35 starts instead of 30/31. Wisler (only 22) is a guy who has a decent future and many people around the league are intrigued by him, but for now he’s a little wild, walking 3.3 batters/9 innings. I think Chacin can be key here. He was so promising in Colorado when he came up in 2009 but has fallen into mediocrity since. He is still, after all these years, only 28, and he pitched well in 4 starts for AZ last year. Vizcaino, Jason Grilli and Johnson are all locks to start the season in the bullpen, regardless of what anyone else does. 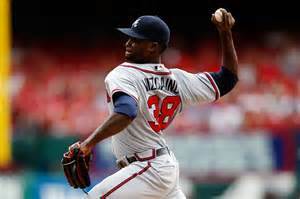 Vizcaino is very electric, and had a 1.60 ERA last year in 32 games, while striking out over 1 batter an inning. He should win the closer job, but Grilli is still a possibility. I love Jason Grilli. I think him being a 1st round pick all the way back in 1997 and not really playing well and making an All-Star team until 2013 as a 36-year-old with the Pirates is a cool story about perseverance. Seems like it’s been forever since Jim Johnson made the All-Star team in 2012 because he’s been so up and down since, but he’s here too now. Johnson actually saved 50+ games two seasons in a row back in his days as a closer. If he and Grilli can pitch well at their advanced ages, this could be a better bullpen than people think as they have had success in the past. I have never thought Freeman was that great, I think that he has much less raw power than his body type would suggest, and he’s had 100 RBIs only once in his career. He needs to have a big season not only slapping singles and drawing walks, but hitting the ball hard and far too. The problem with Freeman is that it’s not enough for a player just be tough to get out. To be the top dog in a lineup you really need to have the ability to hit people home, drive them in and put the team on your back for long stretched of time. You can’t build an offense around a singles hitter, it’s why the early-mid 2000’s Mariners, despite so much talent, never won anything with Ichiro. Now had Griffey stuck around long enough to drive Ichiro home, sure then it’s a different story. Freeman isn’t that dude though. I just don’t see him making an Anthony Rizzo-esque leap in his production. HBT’s Prediction: This team will be better than people think because we will see a very motivated Teheran at the top of the rotation, fully healthy, and the offense will surprise. 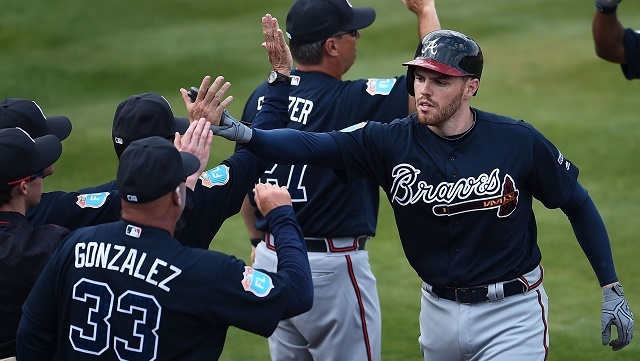 I have more faith in their young players too, especially Inciarte, and I can see a world where the Braves have 3 different .300 hitters in the lineup with Inciarte, Markakis and Freeman. On top of that, as much as they lose defensively with Simmons leaving they gain with Aybar, a far superior hitter at the SS position. I also think the ancillary starters can get it done too in that ballpark that doesn’t give up homers: if Chacin can pitch like he did in 2013 and Norris can summon that 2014 season (both recent success, right?!) then the rotation is all of a sudden formidable 1-3. They will win 74 games. Up from 67. And I would not be surprised to see 77.